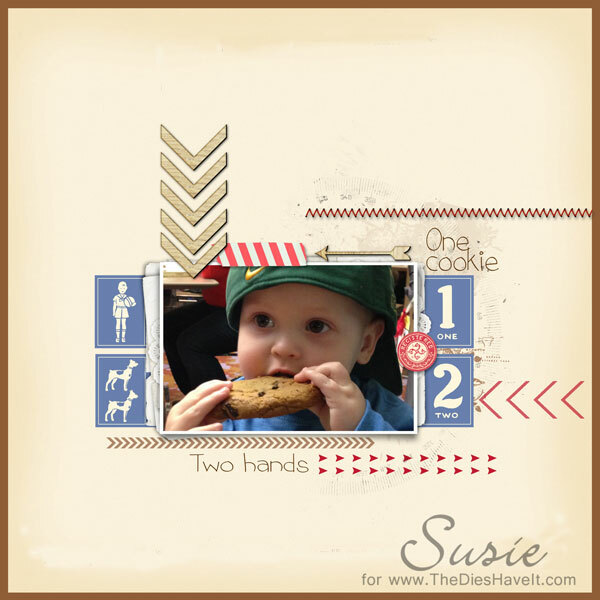 To make this layout of our little grandson Andrew eating a giant cookie, I used the Jenni Bowlin Vintage Number Cards kit. And today it's on sale today for just $1. There are so many uses for these cute vintage cards. What will you do with your set?